At the midway point of the season, it looked like the fate of the Dallas Cowboys was set in stone. They were 3-5 and while their defense was not bad, their offense was atrocious. There was no way they were going to contend for anything more than draft position with how they looked. Fast forward couple months, and with a 27-20 win over the Tampa Bay Buccaneers they secured their third division title in five years. They had a chance to secure the division last week, but, instead, played flat and got shutout for the first time in years. But that was not how the day was going to go this week. Dallas didn’t look great on offense for the second week in a row, but the defense more than made up for their shortcomings. Dak Prescott got the Cowboys on the board with a seven-yard touchdown run about midway through the first quarter to give Dallas a 7-3 lead. Brett Maher added another three for the Cowboys late in the second quarter. 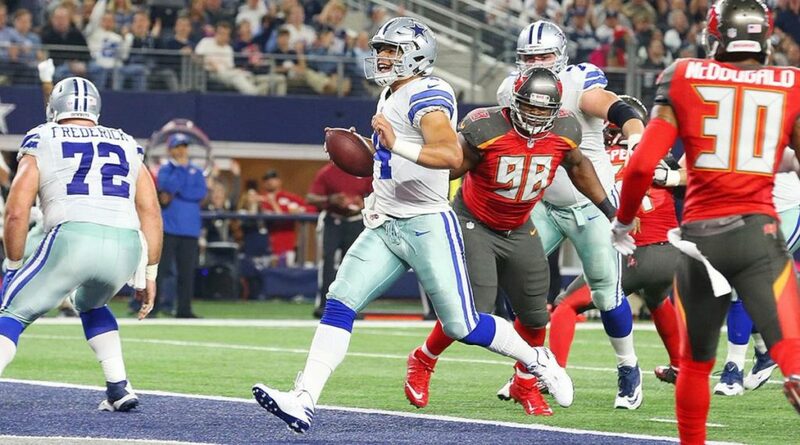 But the Buccaneers were able to tack on a touchdown to make the score at halftime, 17-13, Cowboys. The defense cam through for the offense once again when Randy Gregory recovered another Winston fumble to set the offense up on the Tampa Bay four-yard line. Two plays later, they extended the lead to 14-points, 27-13. Tampa Bay tacked on a late touchdown to make the final 27-20. The win locked up the division and a playoff spot making next week ’s finale meaningless. But the Cowboys should be concerned about both sides of the ball. For the second week in a row, the offense did not look good—and against one of the worst defenses in the league. While the defense came up with some big plays, they still gave up 336 yards in the passing game. It wouldn’t hurt to get the team playing better heading into their wild card game against either the Seattle Seahawks, Minnesota Vikings, or Philadelphia Eagles. But Jason Garrett tends to be cautious heading into the playoffs. More than likely, several (if not most starters) will get the day off next week against the Giants. If the are going to win against whoever they play in the wild card round, they are going to need to get their offense clicking like it was during their five-game winning streak.